High LDL cholesterol levels (“bad cholesterol”), low HDL cholesterol levels (“good cholesterol”), and high triglyceride levels are now recognized as being major risk factors for cardiovascular disease. And for decades, cardiologists and public health experts have stressed the importance of controlling blood lipid levels in an attempt to prevent heart disease. A number of prescription drugs are available to help reduce LDL cholesterol and triglyceride levels. However, many health-conscious people would prefer to improve their lipid levels without resorting to prescription medications. This article will provide information about some of the more commonly used non-prescription methods of cholesterol lowering. Before doing so, however, there are a few things you should know about cholesterol-lowering and its effect on cardiovascular risk. First, not every drug or supplement that improves cholesterol levels should be expected to significantly impact risk. Second, there is something unique about the statins. Read why the statins are different. Anyone who already has coronary artery disease, or has had a stroke or diabetes or other risk factors that place them at very high risk for cardiovascular disease should be strongly considered for statin therapy. If you are in this category, then taking supplements, even if they are effective in improving your lipid levels, is not enough. 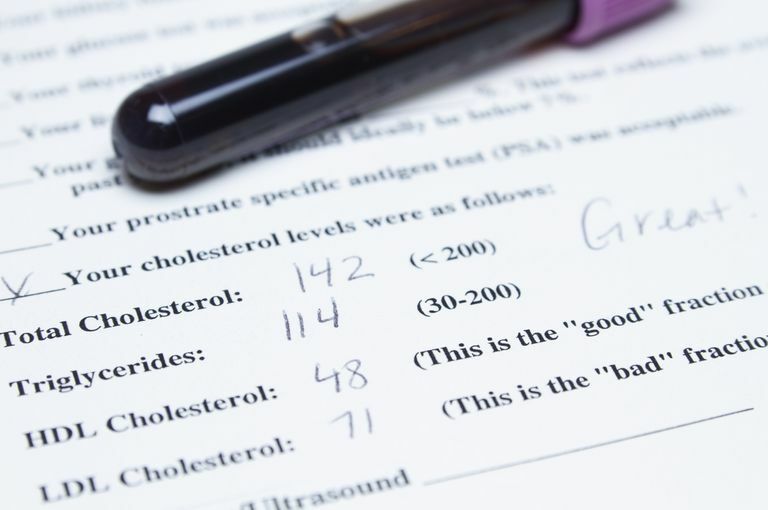 Not everyone with an elevated cholesterol level needs to take a statin. There are ways to achieve moderate lowering of cholesterol levels short of using such drugs. If you are basically healthy, and a formal assessment of your cardiovascular risk places you in a low-risk group—or at least shows that your risk is not high enough to warrant statin therapy—then non-prescription cholesterol lowering makes good sense. So let’s review some of the commonly used non-prescription means of lowering cholesterol. Whoever we are, and whatever our level of cardiovascular risk, the best way to avoid heart disease and stroke is to adopt a healthy lifestyle. A sedentary lifestyle, especially if accompanied by a poor diet, being overweight, and/or smoking, not only causes elevated blood lipid levels, but also produces an extremely toxic overall lipid and glucose metabolism that actively stimulates atherosclerosis. Getting plenty of exercise, controlling your weight, eating a heart-healthy diet, not smoking, and treating hypertension and diabetes (if present) are essential steps not only in improving your cholesterol levels but more importantly, in reducing your cardiovascular risk. Anything else you may do—whether it involves prescription medication, supplements, or even invasive therapy—cannot be expected to have very much benefit unless you also get your lifestyle in order. Fish Oil and Omega-3 Fatty Acids: Concentrates of fish oil containing high levels of omega-3 fatty acids can significantly reduce triglyceride levels, and are sometimes prescribed for people whose triglyceride levels are exceedingly high. However, neither fish oil nor omega-3 fatty acids have been shown to substantially improve cholesterol levels. Plant Sterols: Plant sterols are chemically similar to cholesterol, and when ingested appear to reduce cholesterol absorption from the intestines. However, the absorbed plant sterols themselves may increase the risk of atherosclerosis and other cardiac problems. The American Heart Association now recommends that plant sterol supplements not be used routinely by the general population. Soy: While popularly regarded as a way to lower cholesterol, in recent studies soy products have failed to show any substantial effect on blood cholesterol levels. Soluble Fibers: Soluble fibers, such as whole grain oats, psyllium, and broccoli, can reduce blood cholesterol levels. Foods that contain soluble fibers tend to have other important health benefits, and ought to be included in the diet regardless of any effect on blood lipids. Nuts: A variety of clinical studies have shown that eating nuts can reduce blood cholesterol and triglyceride levels, and can contribute to reduced cardiovascular risk. Green Tea: Studies have shown that drinking green tea may reduce LDL cholesterol levels. This cholesterol-lowering effect of green tea has been difficult to demonstrate with other kinds of tea. Red Yeast Rice: Red yeast rice is a form of fermented rice that contains statin-like compounds called monacolins. Red yeast rice that has monacolins can, like statins, reduce LDL cholesterol levels. However, the US Food and Drug Administration has ruled that monacolins must be removed from red yeast rice before it can be sold in the US. Today it is entirely unclear what you are buying when you purchase red yeast rice from supplement makers. Policosanol: Policosanol, a product made from sugar cane was, was once popular as a cholesterol-lowering agent. But a large, well-designed randomized clinical trial has shown that policosanol actually has no effect on blood lipid levels. There seems to be no good reason to spend your money on it. Lichtenstein AH, Deckelbaum RJ. AHA Science Advisory. Stanol/sterol ester-containing foods and blood cholesterol levels. A statement for healthcare professionals from the Nutrition Committee of the Council on Nutrition, Physical Activity, and Metabolism of the American Heart Association. Circulation 2001; 103:1177. Berthold HK, Unverdorben S, Degenhardt R, et al. Effect of policosanol on lipid levels among patients with hypercholesterolemia or combined hyperlipidemia: a randomized controlled trial. JAMA 2006; 295:2262. American Heart Association Nutrition Committee, Lichtenstein AH, Appel LJ, et al. Diet and lifestyle recommendations revision 2006: a scientific statement from the American Heart Association Nutrition Committee. Circulation 2006; 114:82.